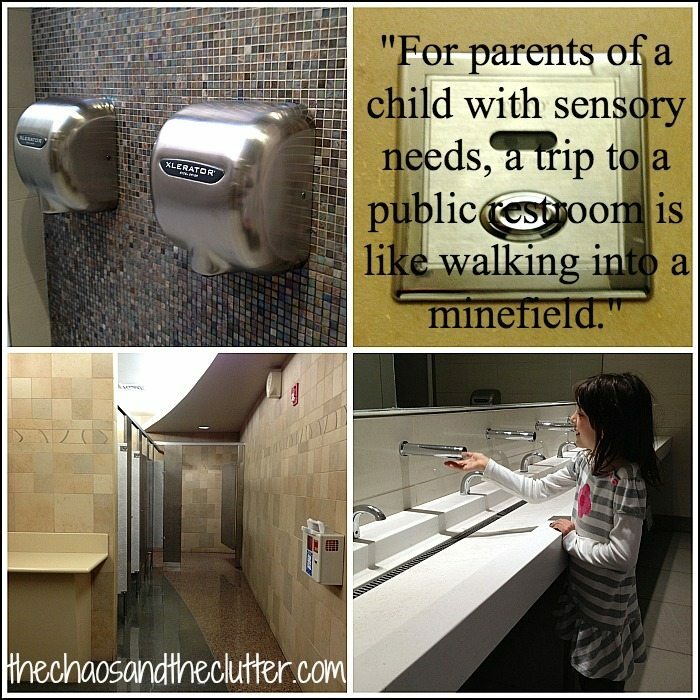 Sensory Processing Disorder can create some pretty interesting choices and behaviours in children! Some of those choices can seem like they don’t make sense but when you have a better understanding of the “why” behind them, they begin to become more clear. When our daughter Miss Optimism was younger, I used to get frustrated because I would get all the kids dressed and ready to go out and when I went to get them in the van, I would turn around and she had taken off her clothes and put on a bathing suit. It would be a cold winter day with two feet of snow on the ground and my little girl wanted to wear her bathing suit to the mall! This happened day after day and my frustration grew. When I hid the bathing suits, she wore gymnastics suits! 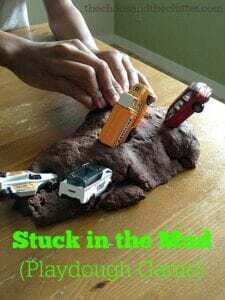 I had five kids under the age of 10 at the time and it was a lot of work to try to get anywhere on time, let alone when I had one child who was seemingly working against me! I asked her why she wanted to wear a bathing suit in the winter instead of the lovely clothes she and I had picked out for the day and she couldn’t articulate an answer. I tried giving her choices “would you like to wear the green dress or the blue dress today?”, but inevitably, it ended in her wearing something as tight fitting as she could find. It wasn’t until after her diagnosis of Sensory Processing Disorder (SPD) when we were working with an Occupational Therapist that I finally began to understand why she wanted to wear bathing suits in the winter (and summer, spring and fall!). 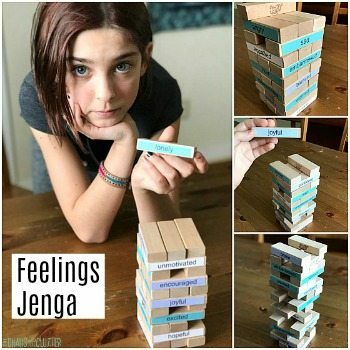 What had previously seemed like a behaviour issue actually turned out to be a sensory need of hers that wasn’t being met. 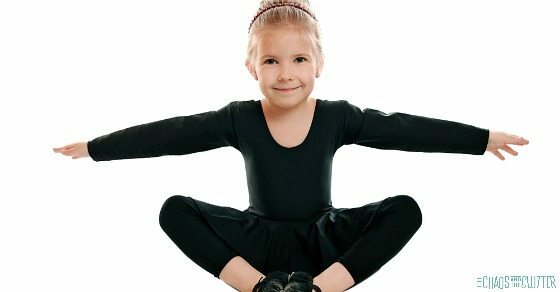 We were able to easily fix the issue by purchasing several tight gymnastics leotards* and suggesting that she wear them UNDER her clothing every day. This one tiny change enabled us to finally get out to the vehicle with her wearing clothing suitable for the weather! She wore the suits underneath her other clothing for a number of years and can now wear “regular” clothing most of the time. At times of stress though, she does still prefer to wear things that are tight. Proprioception is the body’s awareness of where it is in space. 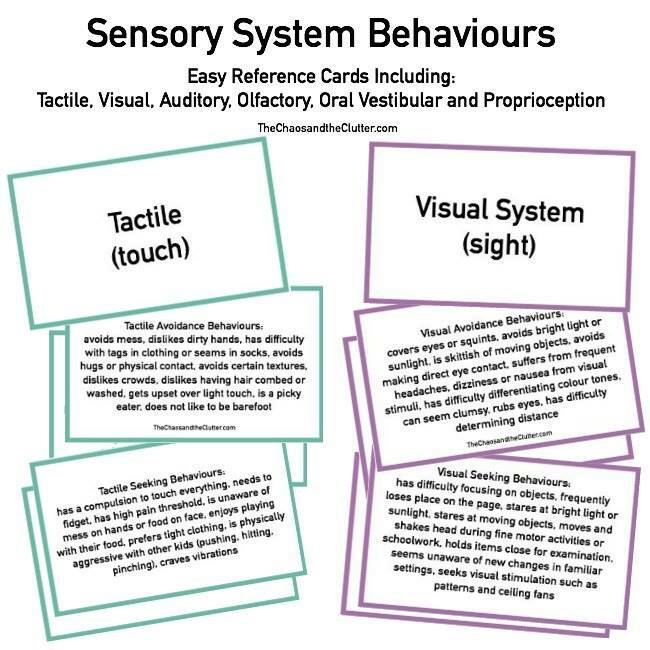 For most of us, it is as natural as breathing, but when there are sensory issues, it can require additional input (or less input) to keep that person regulated and keep that sensory system functioning in the way that it should. 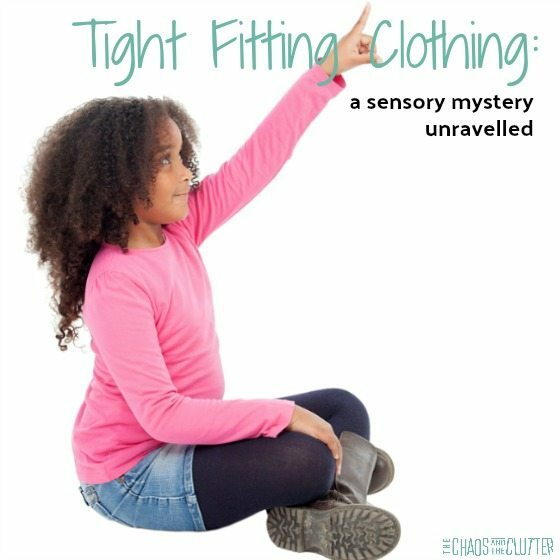 Whereas some children with Sensory Processing Disorder avoid hugs, tight fitting clothing or being wrapped in a blanket, others seek out snug fitting garments and love to be wrapped like a sausage in a blanket or hugged tightly. 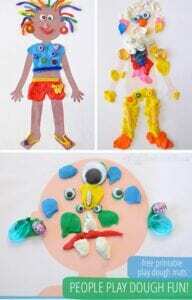 When it comes to proprioception, I have some children who are seekers (like Miss Optimism) and some who are avoiders. It makes for an interesting household! 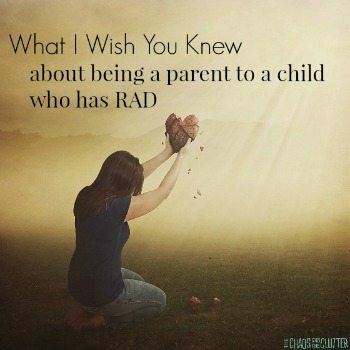 I am thankful that there is so much more information now than there was back when my daughter was first diagnosed with SPD. 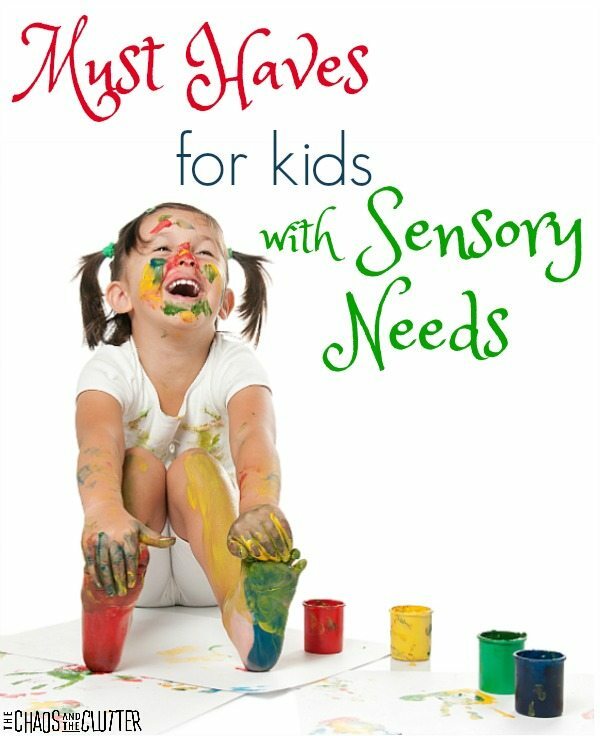 All children have sensory needs, whether diagnosed with a sensory issue or not. 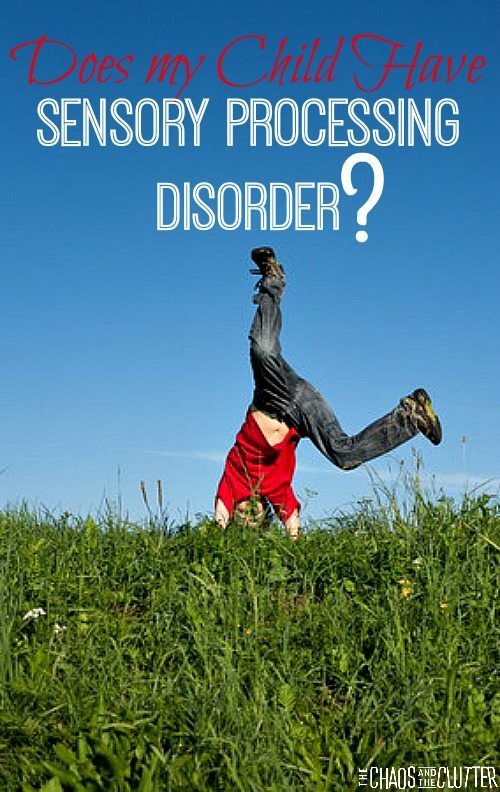 If you suspect that your child may have Sensory Processing Disorder, you may want to read more about the signs of SPD. 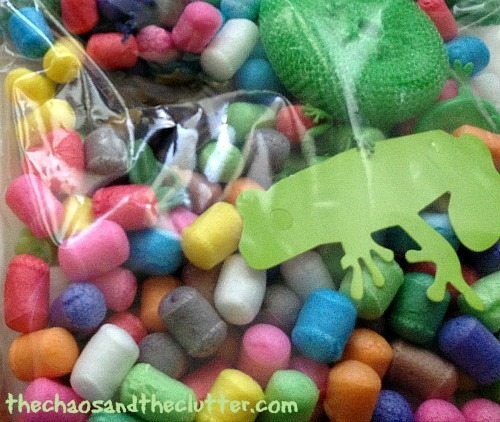 Looking for real answers to your sensory questions? 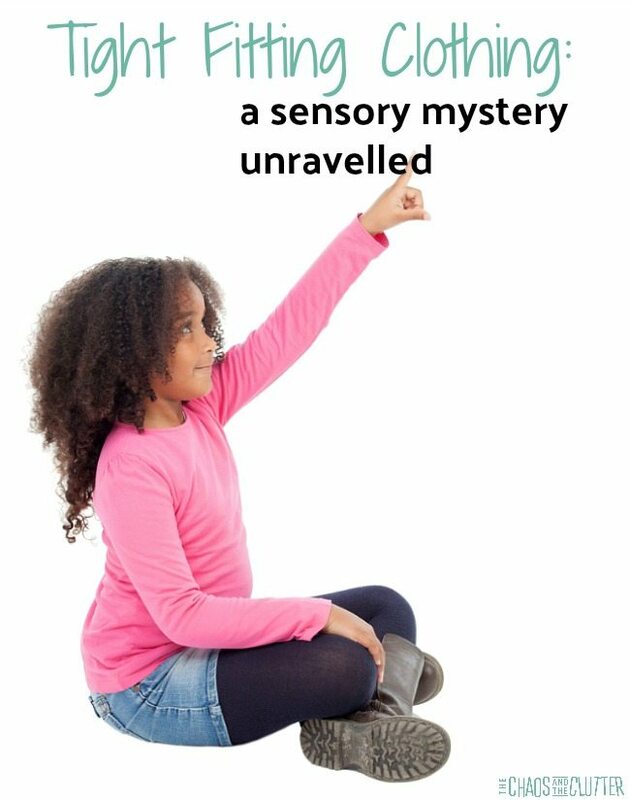 Sensory Processing Explained: a Handbook for Parents and Educators offers real strategies and practical solutions. 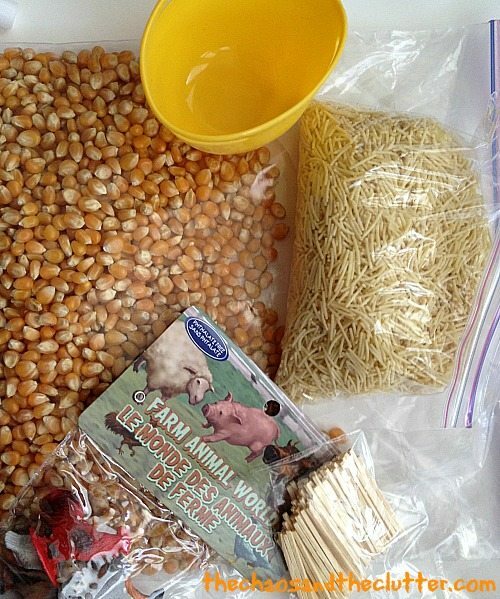 Setting up sensory stations is a way to allow children to easily meet their sensory needs whether it’s in your home or the classroom. 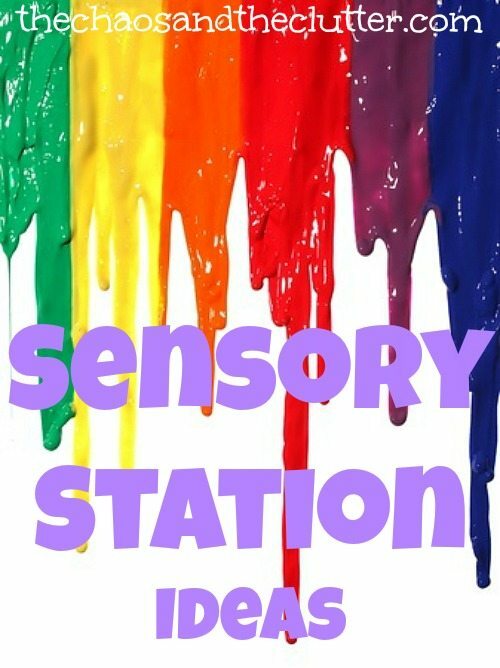 We homeschool and for a few years now have used a few unofficial sensory stations in our classroom but I have recently begun to create official sensory stations and a chart to let the kids know what the stations are. Disclaimer: I am in no way responsible for any injury that occurs in the course of any of these suggestions. I am simply a parent of many children who have sensory processing disorder and am sharing our experiences with you. 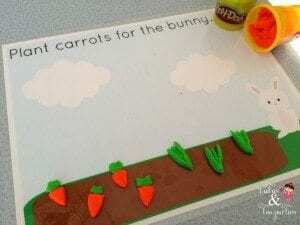 There are many ways that you can provide kids access to these stations. 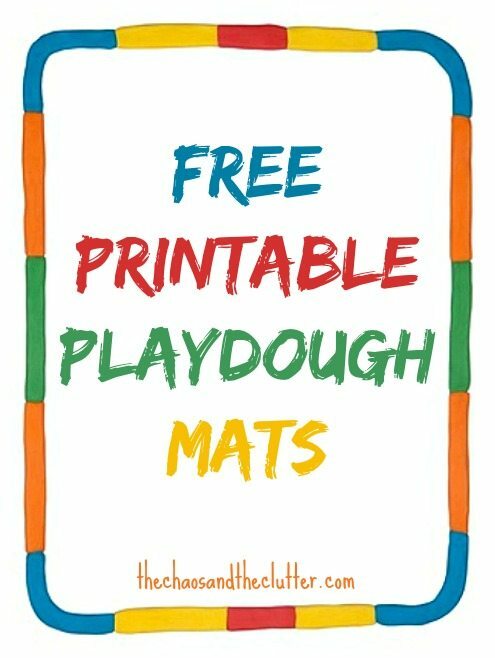 You can have them rotate through the stations in between other activities, have them rotate through the stations at a set time, or you can simply provide the stations and let the kids know what they are and that they are welcome to use them when they need to. You can choose to have the station set up like a circuit and have them numbered or ordered in a very organized way or you can have them be more of a fluid concept. 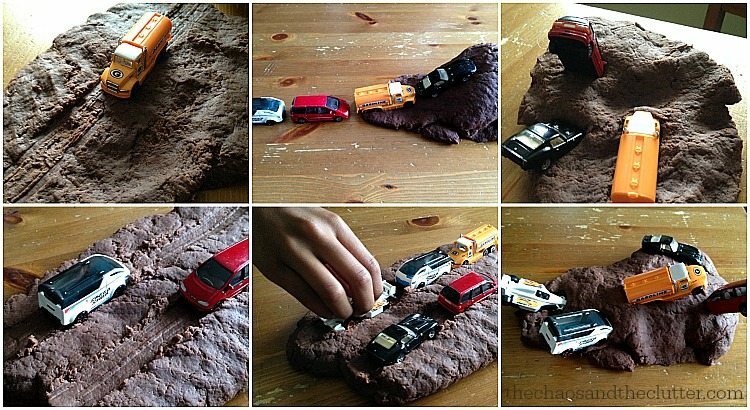 I would suggest that if you have children with autism or children who just need more structure, you have some type of chart or way for them to keep track of the stations if you don’t have them laid out in a circuit. When the weather is nice, we are able to incorporate some outdoor stations into our rotation which makes things even easier and often the fresh air and change of pace help the kids almost as much as the actual activity. 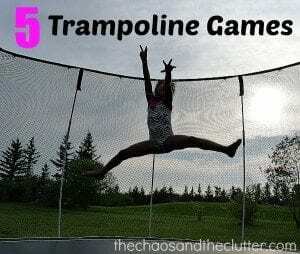 -the trampoline – They can choose just to jump or can play some trampoline games. 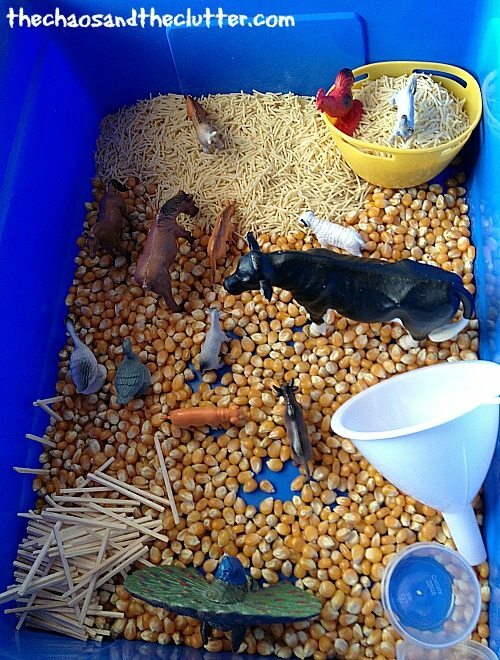 -sensory bin – I make a new sensory bin every week and the kids love playing in them. 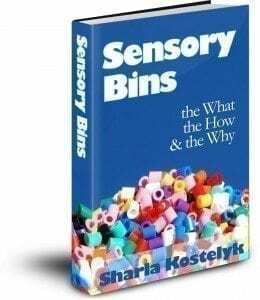 If you are looking for ideas, I have dozens of examples of our sensory bins in the sensory bins category (click that link to take you there) or if you are new to making sensory bins, you may want to consider purchasing my Sensory Bins ebook. 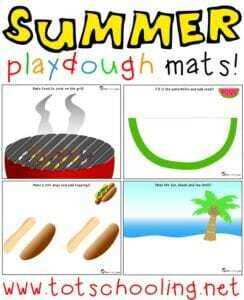 -playdough – Right now, the playdough station we have set up is what we call Stuck in the Mud, but the playdough station changes throughout the year such as having a Gingerbread playdough station set up in December. 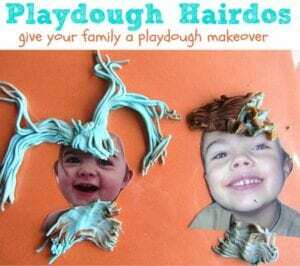 Your playdough station doesn’t need to be elaborate. 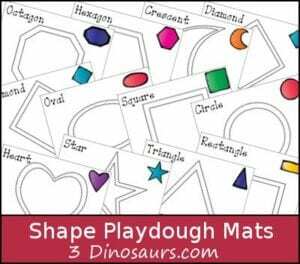 Include playdough and playdough mats or some simple toys or kitchen gadgets. 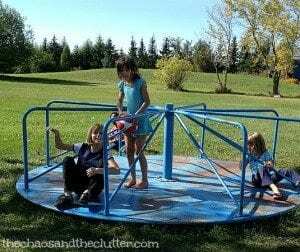 -merry-go-round – I know that most people don’t have a merry-go-round set up in their backyard, but we happen to. My dad found one at an auction a few years ago and had it put in for us. The reason I share this station though is because it is great for meeting vestibular sensory needs. 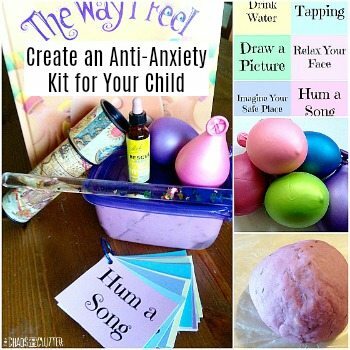 There are other things you could do to create a vestibular (think spinning or balance and movement) sensory station. A climbing wall, jungle gym for monkey bars or swinging, indoor swing, a tunnel for crawling through, or a spinning chair would all be excellent vestibular sensory stations. 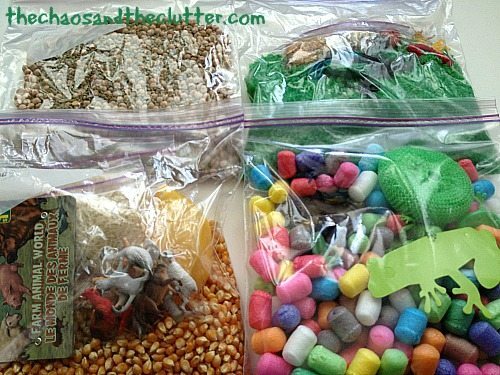 -busy bags – We use busy bags for a variety of things but many of the ones that I make are very sensory rich, so they work well as a sensory station. 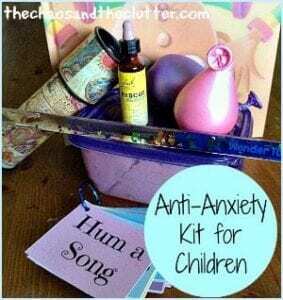 –anti-anxiety kit – This includes sensory balls, lavender playdough, a kaleidoscope, mini massager, and more. 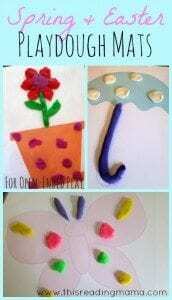 -sponges and water – This is an example of a one time activity that the kids enjoyed so much, I turned it into a regular sensory station. 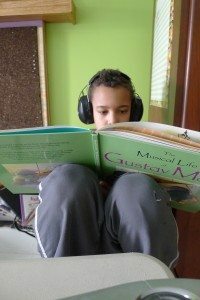 -auditory station – We always have this station set up in our classroom. It consists of a pair of headphones and a CD player. I put out different audio books and music each week. 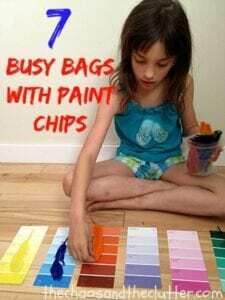 -bean bag chair – We have a large bean bag chair set up in our homeschool classroom and the kids love it for downtime. 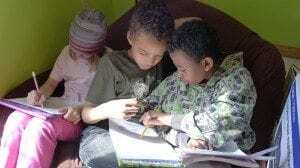 They can go there to read, snuggle with me, or just to relax. We do have some other stations such as a bin full of instruments, a playground, sandbox, and tunnel that I sometimes throw into the mix. 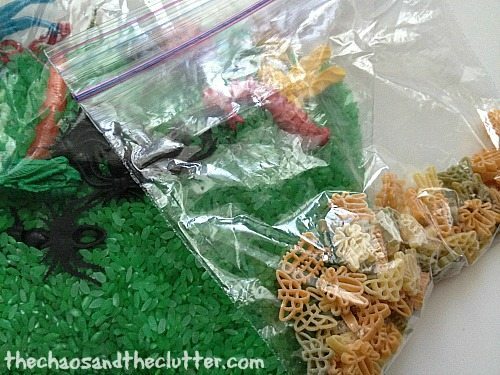 Other times, I create an entirely new sensory activity that is really popular with the kids so I turn it into a sensory station. 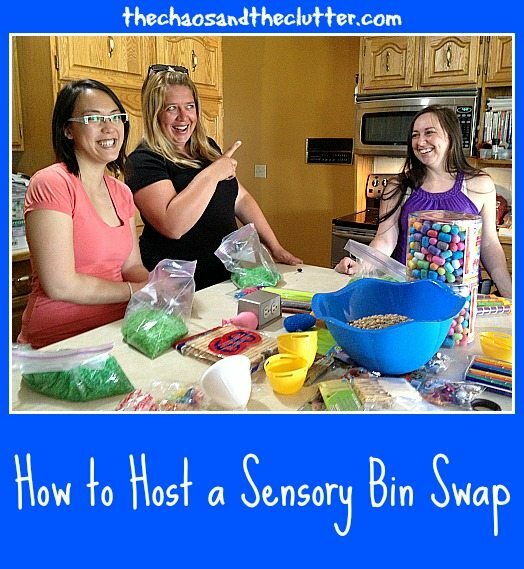 The great thing about being able to create your own sensory stations is that you can customize them to meet the sensory needs of your kids or students. 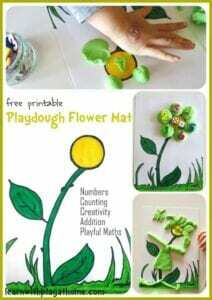 You can also change them to fit weather or seasonal needs. 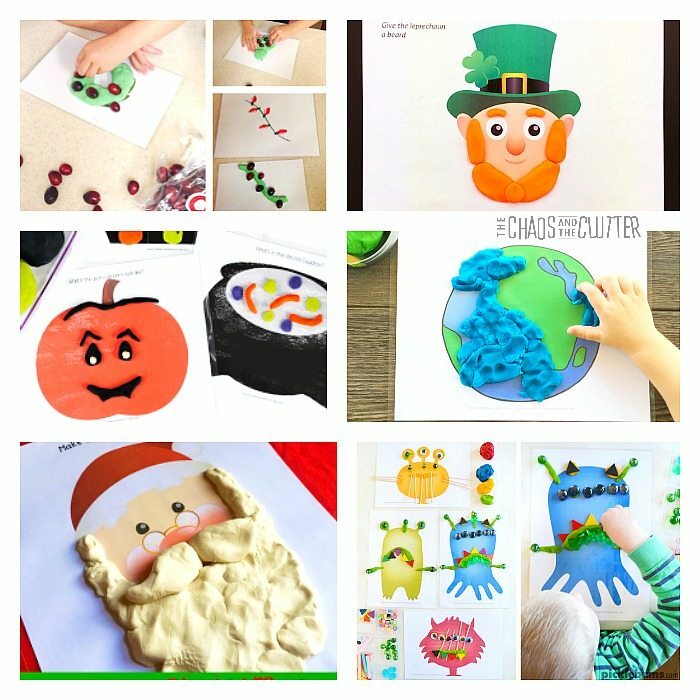 Changing them from time to time also helps keep children interested and engaged. 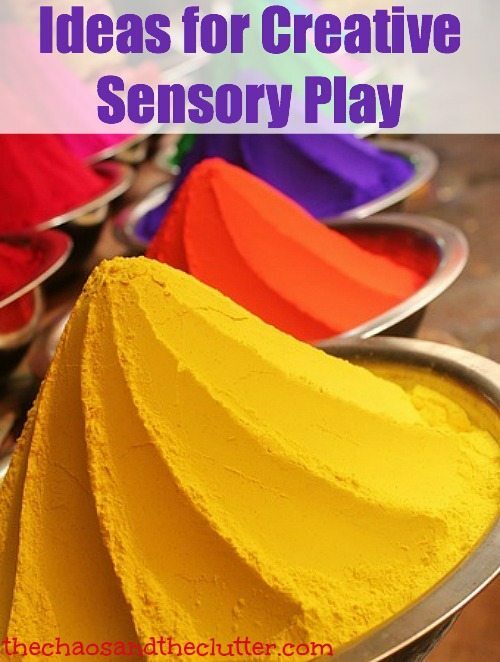 What sensory stations have you tried out?